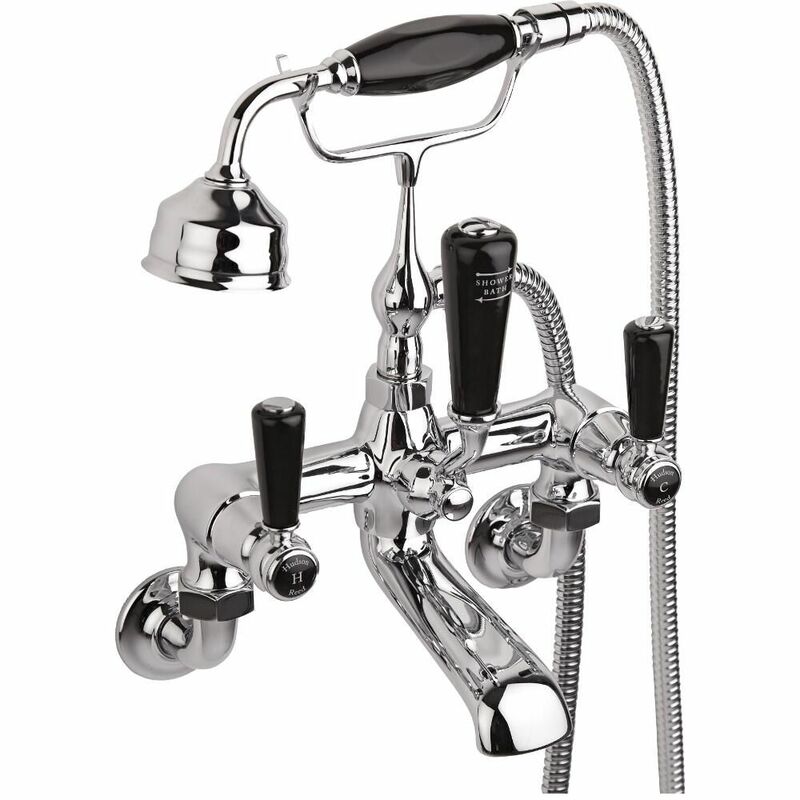 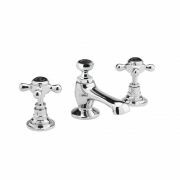 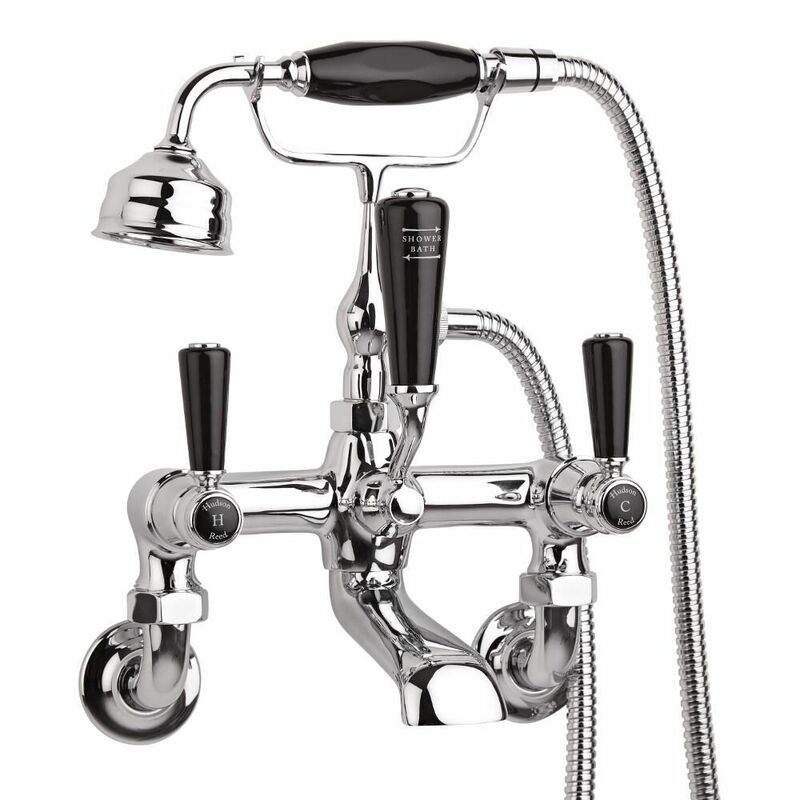 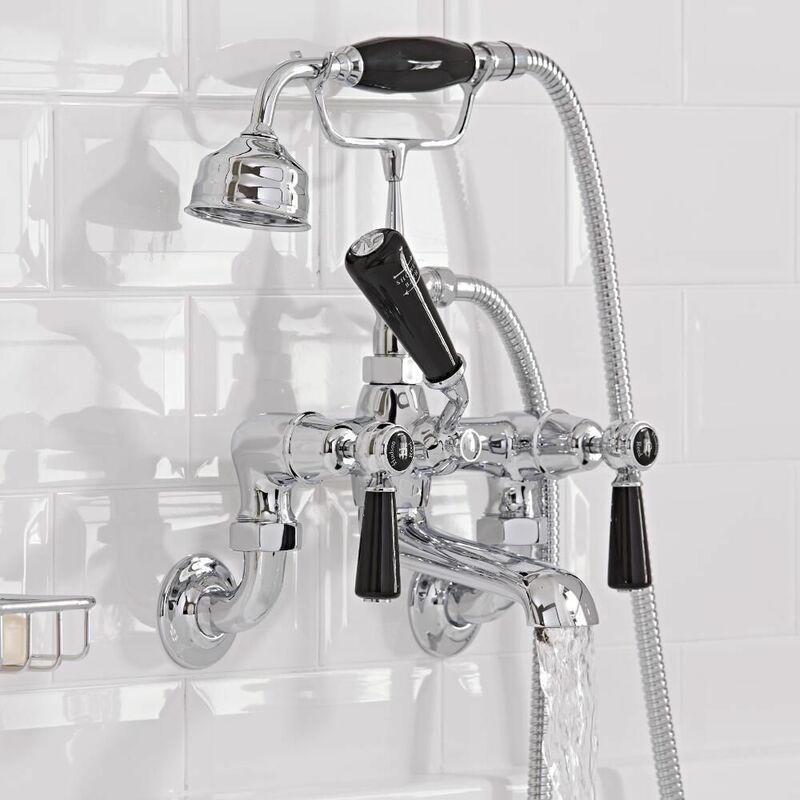 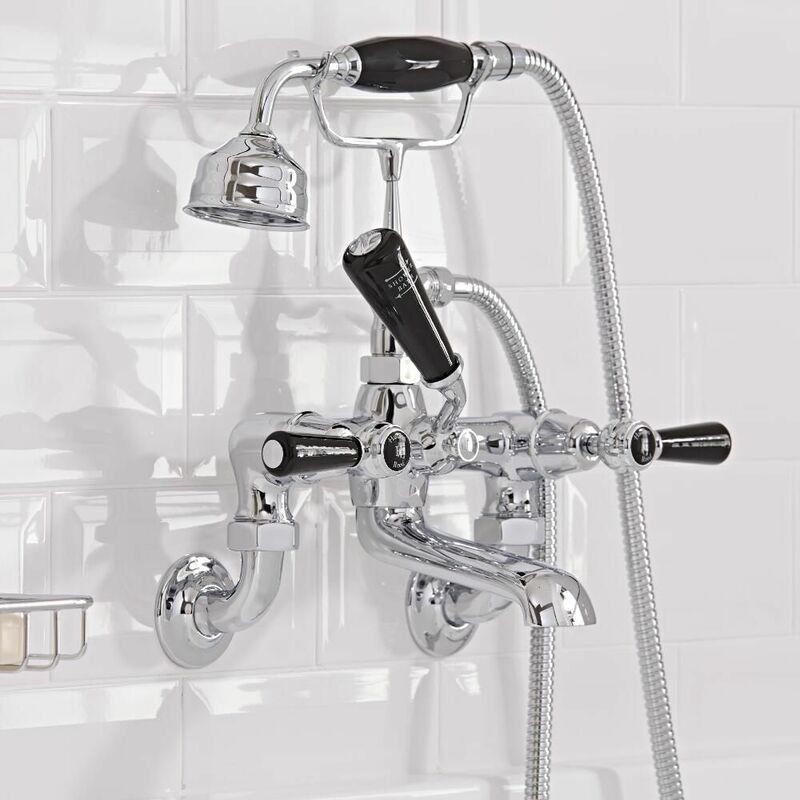 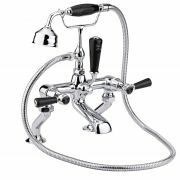 Add traditional style to your bathroom with the Topaz wall mounted bath shower mixer tap in a stunning chrome and black finish. 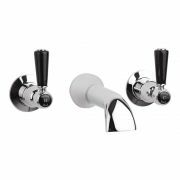 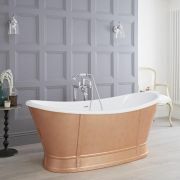 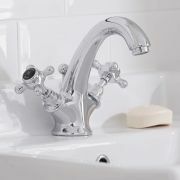 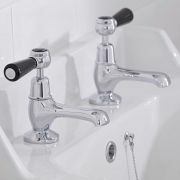 Supplied with the shower kit, this tap features a wall mounted design, which provides a neater finish, and helps to maximise space around the surface of your bath. 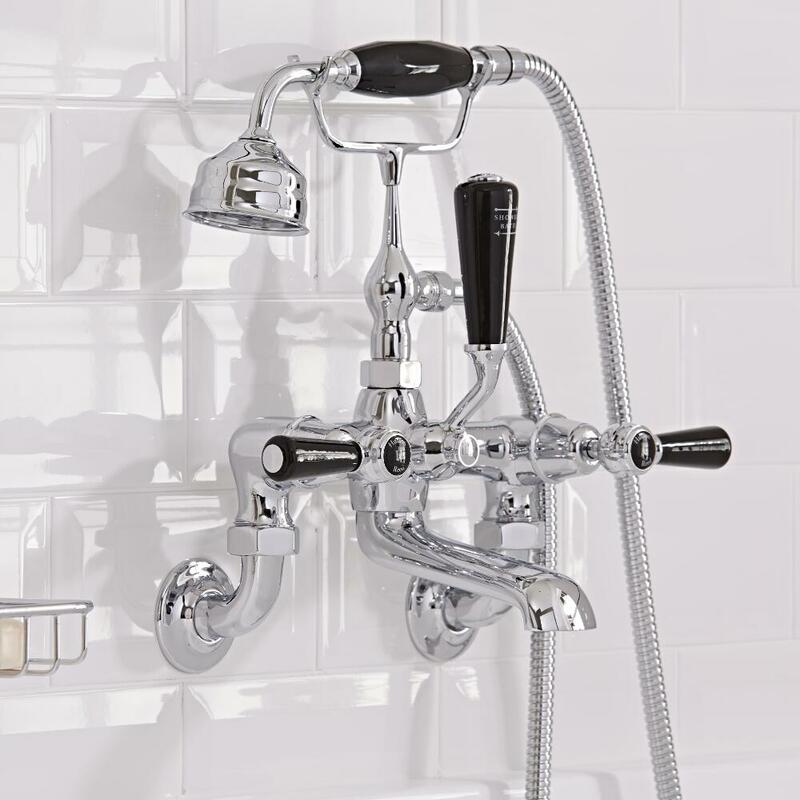 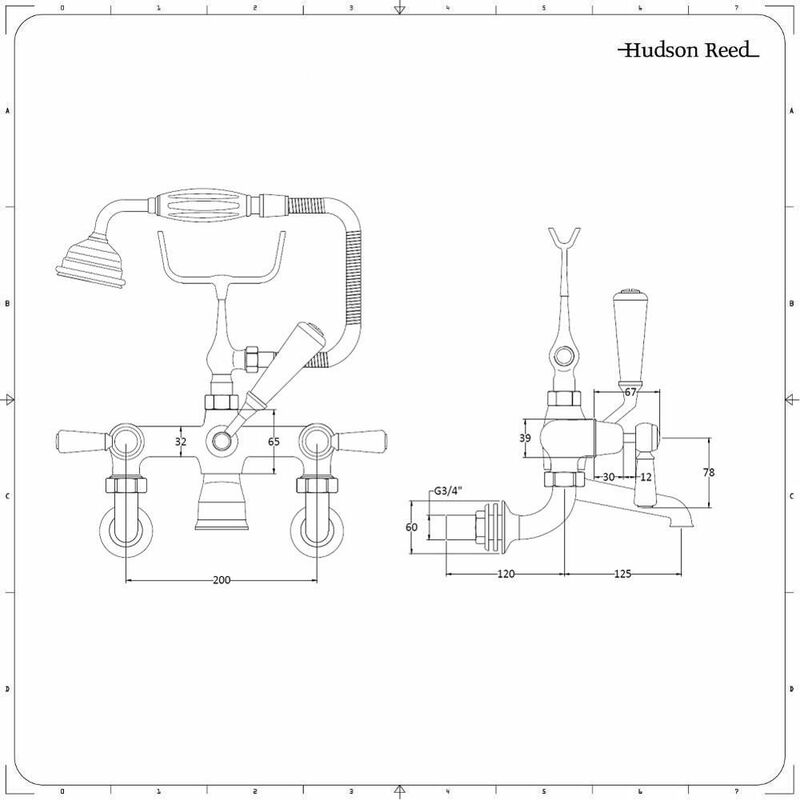 Incorporating ceramic disc technology to prevent leaks and drips, the bath shower mixer tap has a solid brass body so you can be assured of great durability.